The AFL is proud to announce AccorHotels has extended its partnership, as the AFL's Official Hotel Partner, for the next four years. 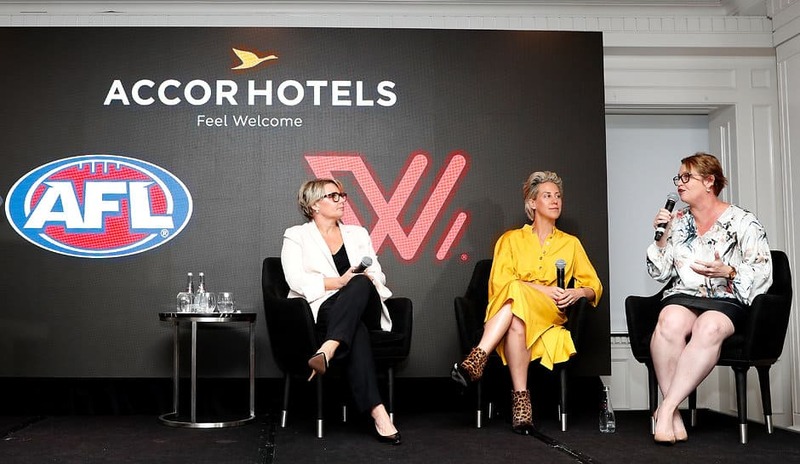 In an exciting new addition to the current partnership, AccorHotels will provide career opportunities in hospitality to AFLW players allowing them the flexibility to compete at the elite level, and a shared commitment to increasing employment and development opportunities for Aboriginal and Torres Strait Islander peoples through AccorHotels' Indigenous Employment Program. The Indigenous Employment Program provides direct and program specific recruitment from casual, part-time and full-time roles. Confirmed program candidates will undertake a five-day employment program followed by mentoring, feedback and a job offer. AFL General Manager Commercial, Kylie Rogers, welcomed the partnership extension. "We are proud to be continuing our partnership with AccorHotels, an organisation that shares the same values as the AFL," she said. "Supporting the employment program is another step in the AFL's commitment to increasing the presence of Aboriginal and Torres Strait Islander women in relative industries. "It is important to continue partnerships with companies who support our values of diversity and inclusion. We are thrilled to be supporting the employment program and cannot wait to witness the wonderful outcomes and opportunities it provides for women in sport." Ms Rogers said. AccorHotels Chief Operating Officer Pacific, Simon McGrath, said: "The relationships and trust that has been established with the AFL and individual clubs across our hotel network remain vital to our ability to deliver the optimal level of support to the players and the clubs. "Working together, our combined vision is to elevate our strong partnership to increase the representation and leadership of women, Aboriginal and Torres Strait Islander Peoples in our respective industries. "We are thrilled that the AFL has selected to stay with AccorHotels for a further four years and we look forward to working with the AFL, its clubs, stakeholders, communities and fans to further play an active role in the evolution of the game and through this, providing opportunities to women, Indigenous and youth development," Mr McGrath said.